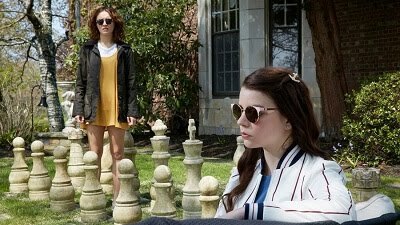 Foreign films often tell stories that feel distinctly different from those that might be featured in American films. It’s not just the language that is not the same, but something about the culture and the way of living that feels unfamiliar and might allow for the showcasing of a new or unusual story. One of this year’s Oscar nominees for Best Foreign Film, “A War,” from Denmark, is an interesting exception because its plot is very similar to that of many contemporary American war stories. While its title is interestingly ambiguous and general, its focus on the current extended conflict in Afghanistan makes this an intriguing example of international cinema that should feel relevant throughout the world. “A War” begins in a familiar setting, with soldiers patrolling a bleak landscape, fighting an extended war defined by infrequent but violent incidents amid an otherwise quiet eternity. When one member of a Danish platoon steps on a mine and is killed, the other members of his unit are hit hard. 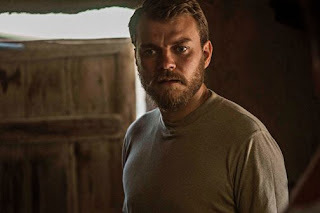 Their commander, Claus (Pilou Asbæk), takes it upon himself to personally keep up morale, going on patrol with them and taking careful steps to ensure the safety both of his people and of the villagers who find their lives threatened by the enemy that they are fighting. When he finds his unit under fire, Claus is forced to make in-the-moment decisions that later lead to his being under scrutiny and facing legal action for resulting civilian deaths. Like recent American films such as “The Hurt Locker,” “American Sniper,” “The Lucky Ones,” “The Messenger,” and “The Dry Land,” this war film is as much about what it’s like to come home as it is about life on the battlefield. Claus’ wife Marla (Tuva Novotny) is prominently featured trying to take care of her three children as they act out and attempt to adjust to having their father away and only able to call in occasionally at odd hours. There is nothing about this particular story that feels novel or eye-opening, save for the fact that Claus is actually called to answer for his actions. The fact that Claus and his soldiers come from Denmark only serves to unite countries all over the world that fight for democracy and freedom. Seeing this story through a foreign lens does little to enhance or distinguish it, leaving it as a solid movie but hardly one worthy of note as one of the most outstanding foreign films of the year.